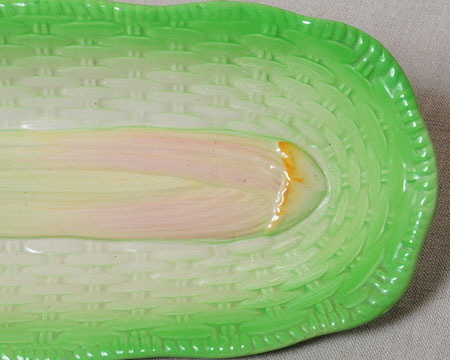 This Beswick ware Cellery dish is in excellent condition and measures 12” x 5.75” x 1.75”. 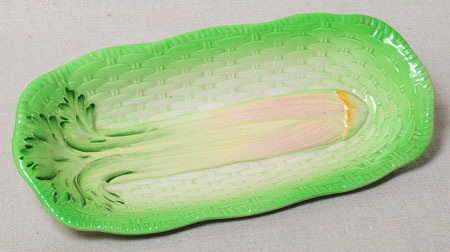 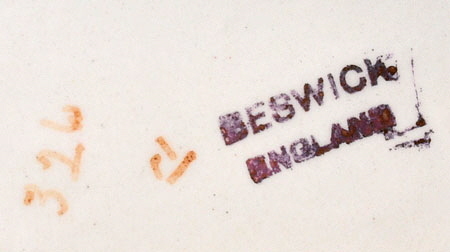 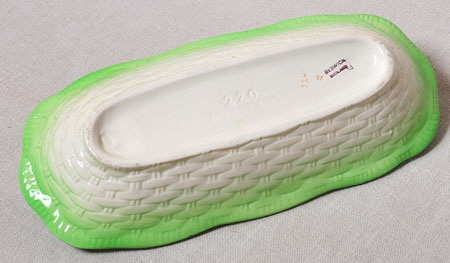 It shows a moulded head of cellery resting lengthwise along the dish resting on a basket weave effect background. 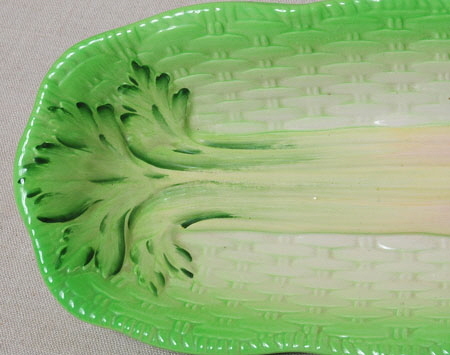 The colours are bright and fresh and there are no cracks, chips or glazing flaws - a really lovely piece and a great addition to any Beswick ware collection.